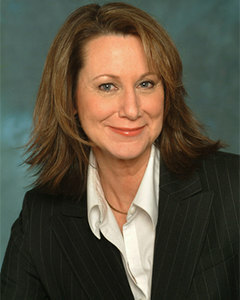 Marlene is an experienced real estate professional who brings a unique competitive edge to her clients: highly effective marketing, sales and negotiation skills honed by her 15 years in real estate and a 20-year track record as a top marketing/sales professional in the highly competitive high-tech industry. In addition to her proven sales skills, Marlene focuses on making the entire process as easy as possible for her clients, giving them peace of mind. Marlene's approach to assisting buyers takes the long, and often confusing, process out of home buying; giving her clients comfort in knowing that all the details are taken care of. She extensively researches and understands the wants, needs and lifestyles of her clients. Her hands-on approach is methodical, highly organized and thorough. Her clients say she listens to everything they say and gets a feel for what they want. Marlene is a lifelong resident of the North Shore area. She grew up in Lake Forest, has lived in Northbook, Evanston and currently resides in Wilmette with her husband. She has an adult aged daughter and holds a BA in Liberal Arts from Ohio University.